Lunar Isle is a Members-Only island that is host to the magical and majestic Moon Clan! It is home to some wonderful Flax fields, the Astral Runecrafting Altar, mines deep within dungeons, which includes a Rune Essence rock, a most wonderful city, and Suqahs! You will find yourself on this enchanted land by taking part in diplomatic relations between the Moon Clan and the Fremennik people in the quest Lunar Diplomacy. Lunar Isle is quite an attractive place to be. As you discovered in the Lunar Diplomacy quest, Oneiromancer wasn't putting a play on words when she called Baba Yaga's home a Chicken House. 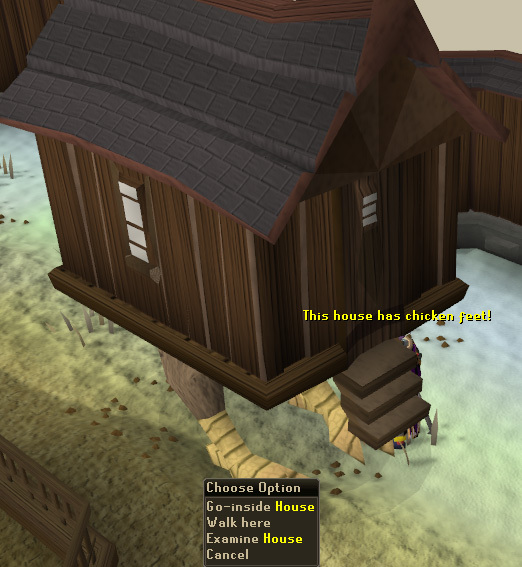 Baba Yaga sure has a fowl taste in Real Estate, but she makes up for it with a quite plentiful Magic Shop. One of the bigger attractions is located to the south, where you will find yourself at the Astral Runecrafting Altar. 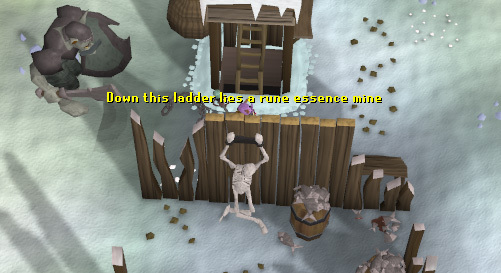 Here, you can craft Astral Runes from Pure Essences. The other thing that makes the Astral altar unique from any other altar is that you may change from a Regular Magic Spellbook to the Lunar Magic Spellbook. You may cast these spells to contact distant NPC's by the click of a button to teleporting you and all of your friends to remote places by casting one spell! 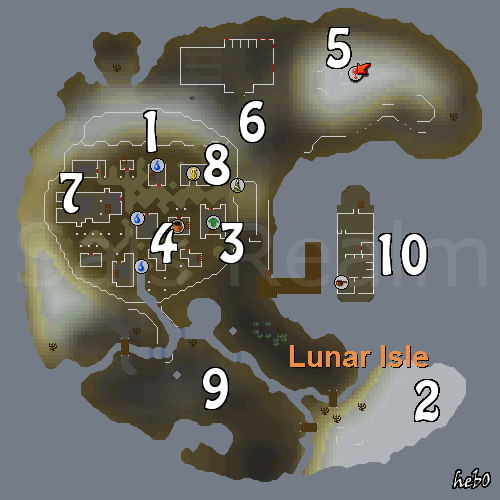 Please refer to our Lunar Magics guide for addition information on these powerful spells. The Clothing Store on Lunar Isle has a nice little outfit you can purchase. No, it is not the top of the world's largest Dairy Queen ice cream cone, but you were close! 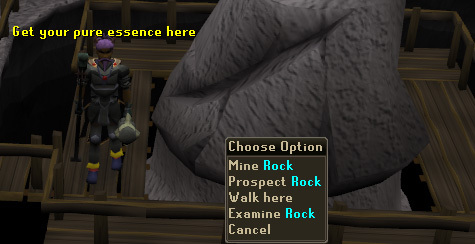 You can mine Rune Essences here silly! 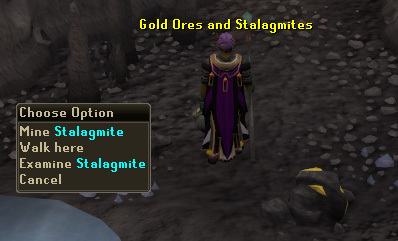 Oh, but that is not all, in the 5 different branches from the Rune Essence mine, you can find all sorts of ores to mine! 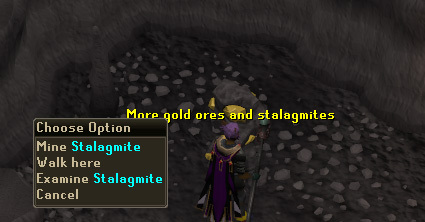 The northwestern mine sector, you will find Gold Ores to mine. 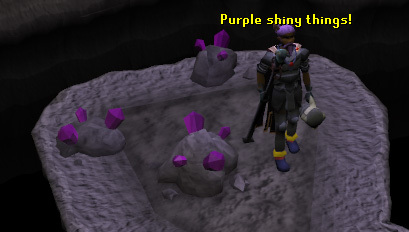 You can also mine Stalagmites that can be found throughout the cavern and is used in the Lunar Diplomacy quest. The southwestern sector is similar to the first, Gold Ores and Stalagmites around. The northeastern mine sector has a collection of Gold Ores, Silver Ores, and Gems that you can obtain with your good old handy-dandy pickaxe! The southeastern sector is V.I.P for Gems only. Last but not least, the southern mine sector contains Silver Ores. Just beyond the northeast wall of the city is a small Flax field. The Livid Farm, situated on the northern part of Lunar Isle is run by Pauline Polaris, in the hopes of impressing Lokar Searunner. Here you can assist Pauline in growing the produce for the farm, keeping the fences repaired to defend from the attacking Suqah. You can also aid Pauline in combat with a Suqah, as well as assisting her friend Murky Pat. All this gains you Magic, Construction, Agility and Farming experience, as well as a variety of useful spells that are additions to the Lunar Spellbook. After unlocking all of these spells you can exchange the points you have accumulated for other rewards, such as a Seed shower, the ability to covert your inventory of lumber into runes and the option of turning all clean herbs in your inventory into unfinished potions. In the Lunar Diplomacy quest, you may recall that this was the room that you were in when you ventured to Dream Land. It may sadden you that you can not return to Dream Land once you complete the quest. 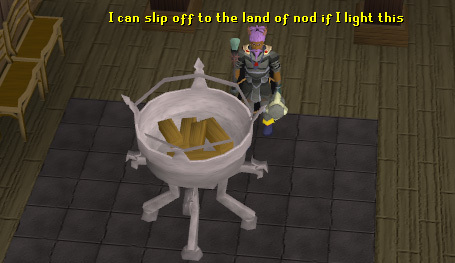 The Ceremonial Brazier is still there if you wish to be baffled by it and stare in awe...even though it's just a bucket with some wood in it. The rest of the buildings within the city are mainly homes for the Moon Clan members, and there is nothing much but some beds and tables. So, now we go beyond the city gates, and into the depths of the mines! 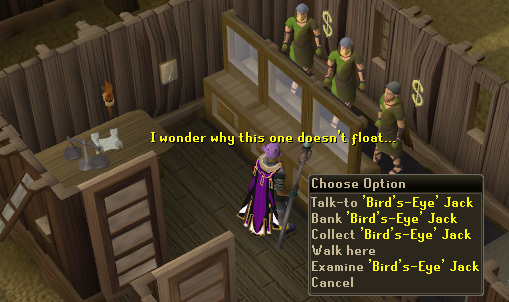 Lunar Isle has a bank for you to access, which can be quite helpful, considering the next closest one is in Etceteria, which takes time to get to. 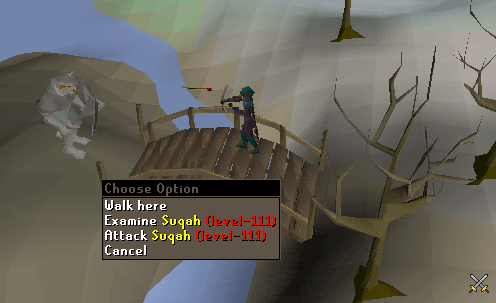 As you venture across Lunar Isle, you may care to notice a groups of indigenous creatures called Suqah. These level 111 giants may look terrifying, but no need to fret - for you can Range them or Mage them from the ever so convenient bridges located throughout the southern part of Lunar Isle, for they are too big to come across and melee you. To finish up this guide of this amazing island, of course we end where your journey began! The ladder leading up to Captain Bently's ship, the Lady Zay.